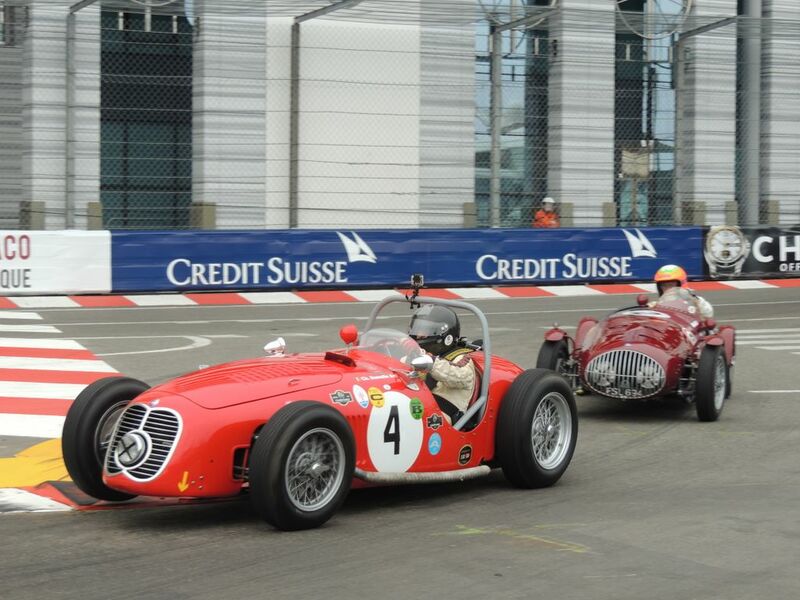 Today saw the 1961-1965 Grand Prix cars field hit the track for the first time with a practice session in the morning, followed by qualifying in the afternoon. Australia’s Scotty Taylor put his successful fitness campaign to the test, but found ratio issues with second gear running too long, an issue that would not be resolved before the race. When on song, the Lotus 18 F1 sounded excellent, however, you could feel from the side of the track that it was hard work getting it to come on song quickly. Subsequently, Taylor was well down in the grid order, well down the order from the sister numbers 32 & 34 Lotus 18s. The ex. 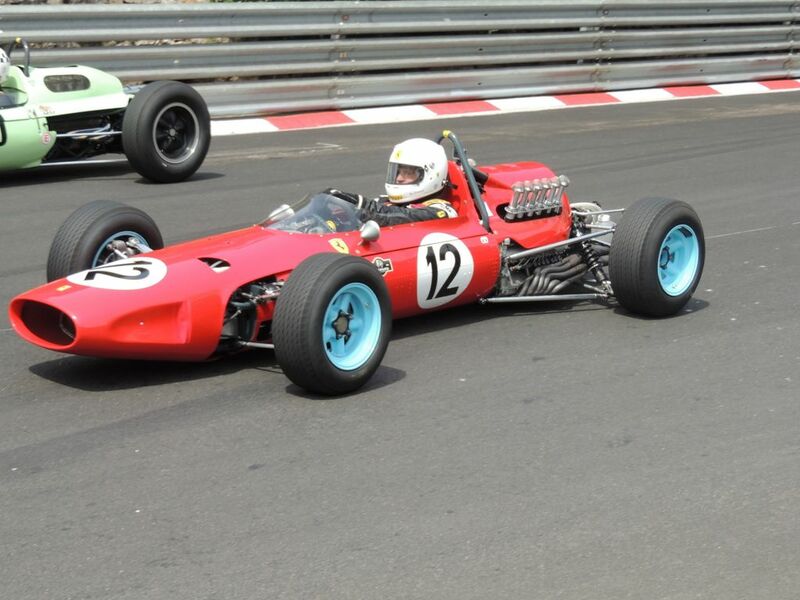 John Dawson-Dmer Lotus 25 was in action again, this time in the hands of former BTCC winner, Andy Middlehirst. The car, that took Jim Clark to the 1963 Formula One World Championship is now owned by another Australian, John Bowers who entrusts Classic Team Lotus with the car’s maintenance and preparation. Middlehirst would have no challenge across the weekend, in qualifying posting a pole that would be three seconds faster than that that he had posted in 2012. Moving back to the chicane for the next practice session the scribe photographe d the Sports-Racing car field – 1952-1955. 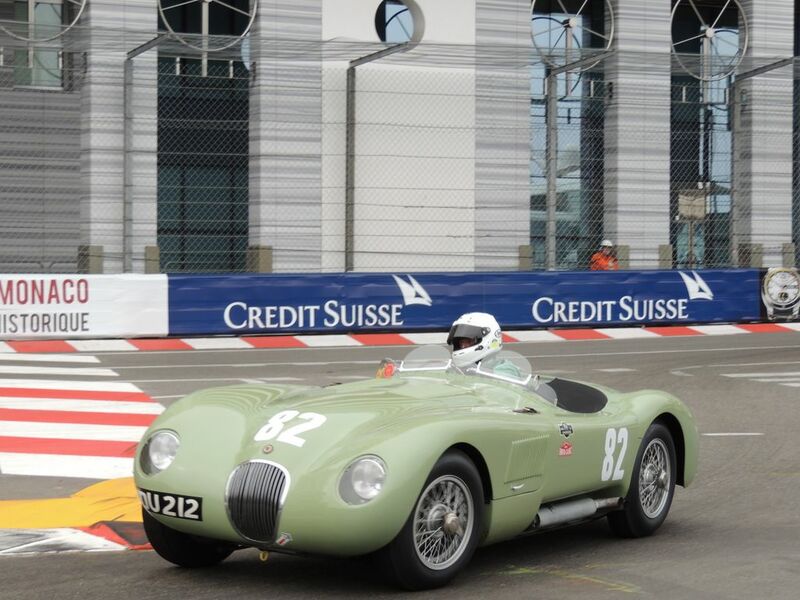 Jaguar C-Type & D-Types, Maserati 150S & 300Ss, various Ferrari, etc. The the previous, a multi-multimillion dollar field, and they’re not hanging about. These guys are serious, flicking their machines through the corners, accurately each time just to miss the walls. 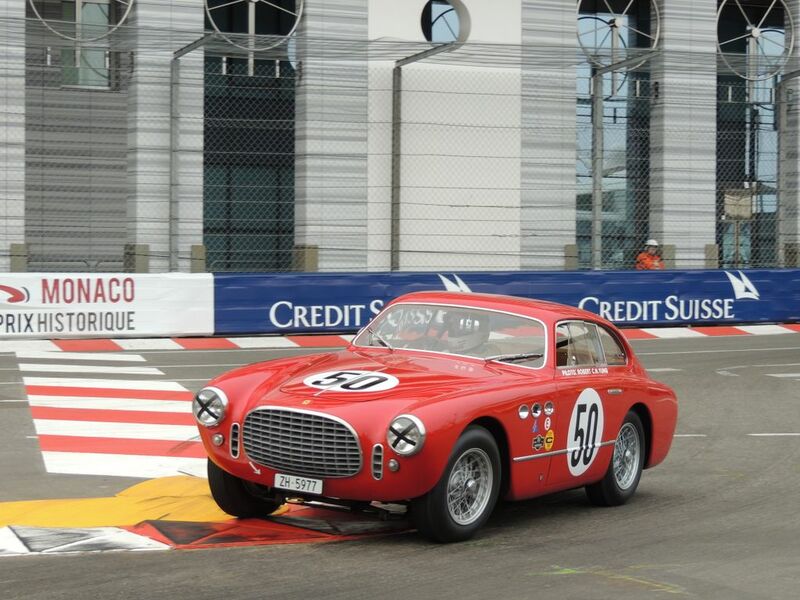 Of particular note were the little Ferraris – the 225S, 250 MM and the 340 MM, attractive, but quick. But it was John Ure that would put in some good early times in his Cooper-Bristol T23. Staying at this corner for the next, initial practice session was truly an early highlight as the 1973-1978 Formula One field took to the track. Like the 1966-1972 field, most of the cars run the Cosworth-DFV engine – the most successful engine ever in Formula One, and it’s easily apparent here. For the relatively young(-ish) scribe it was the first time seeing cars such as the Heskeith and Shadow in action. So many great names drove these cars. The Lyons family entered two cars in this field (making their family effort 3 for the meeting)l Frank in the McLaren M26 and son Michael in the Heskeith 308E. Both cars were driven by James Hunt in period. Niki Lauda’s name also came up, mainly with the Chris McAllistair entered 1976 Ferrari 312 T2. Carlos Reutermann driving for Brabham was attached to the 1976 BT45. And, Jacki Ickx who drove the # 20 Williams FW05. 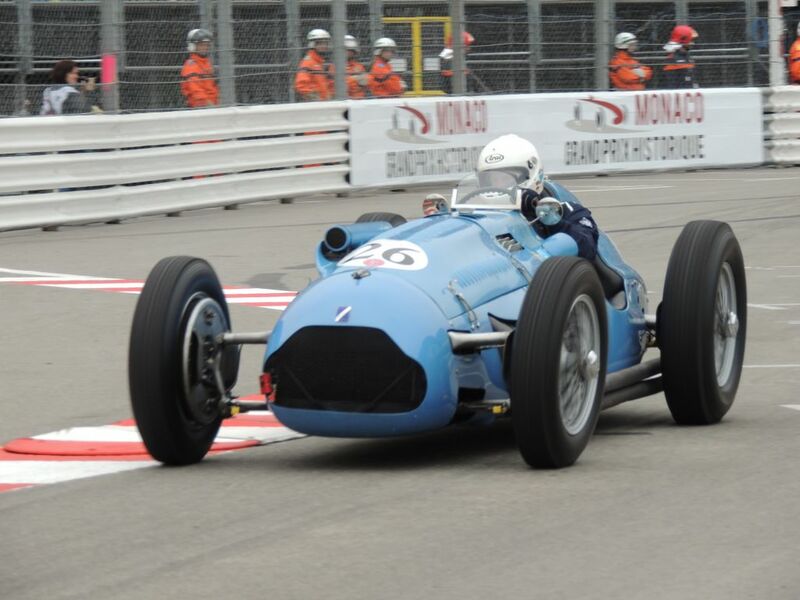 It was in the pre-war grid’s qualifying session that the weekend changed fortunes for Australian Adam Berryman who, coming into the tunnel felt his front left wheel start to wobble. He immediately slowed, and fortunately (but nearly) made it to the paddock area about 1.5km along the track, at which point the wheel decided to part ways with the car. The result was a clip on the centre lock spline of the wheel had broken, quite an odd failure. The issue caused some minor, but extensive damage to the brake shoe. Fortunately, our friendly New Zealander mechanic worked through to 2:00am Sunday morning repairing and machining the parts and fixed the issue. The car was ready to race. The qualifying result saw Cannon posting a time to take 10th place on the grid. Dowling slid his way through to take pole from the P3 of Matthew Grist. 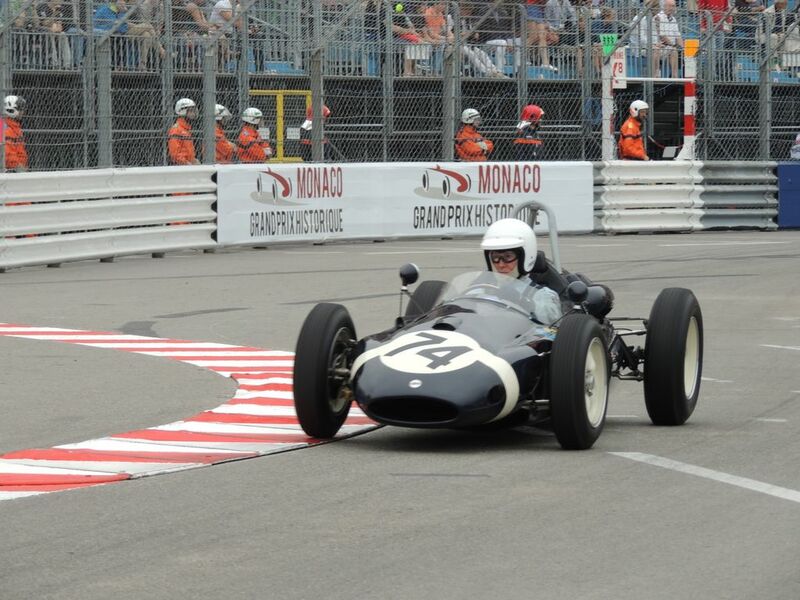 It was Tony Wood though who took pole in the next event for pre-1961 GP cars in the TEC MEC (a super-quick Maserati 250F engine F1 car of that era) ahead of Roger Wills’ Cooper T51 and Pearson’s BRM P25. As Saturday drew to a close the scribe was invited to a Cocktail Party put on by the Ambassador of Monaco to Australia, Her Excellency Mrs. Catherine Fautrier. Overlooking the Port de Monaco with the Palace in the background provided a relacing way to cap off a very hectic exercising day of photographing.